Off-limits to foreigners until very recently, Hsipaw is now an increasingly popular destination for backpackers and trekkers looking for an off-the-beaten-track experience. The popular 2-day hill-tribes trek takes visitors into the remote Palaung villages of northern Myanmar, which stretches towards the border of China. This area is still recovering from a civil war, and grim reminders still crop up occasionally. In 2016, a German tourist hiking away from the main trail was injured by a landmine. The bloody fights between drug gangs, militia and soldiers are also still fresh in the minds of the villagers living here. Don’t let that discourage you from visiting this picturesque place though. Myanmar is fast becoming yet another noisy commercial urban sprawl, and it’s only a matter of time before mass tourism reaches this lush paradise. In this travelogue, you’ll find out how to get here, what to do and see, and what to expect during the hike up. The easiest way to reach Hsipaw is by taking the daily train from Mandalay, which slowly chugs uphill over the course of the day. It is advisable to buy your ticket early, as you’ll want to get a reserved seat in the upper class cabin. At 3,950 Kyat, it’s an affordable upgrade for a comfortable, albeit non-air conditioned ride. The train departs Mandalay at 4am, when much of the city is still asleep. En-route to Hsipaw, the train passes through the town of Pyin Oo Lwin at around 8am. This is a quaint colonial hill station that deserves a visit as well if you have the time. This journey is also eventful as it crosses the Gokteik Viaduct, a spectacular white bridge that spans a wide valley bounded by deep chasms. Built by the Americans in 1901, this was the highest span of any bridge in the British empire when it was first completed. The train slows down to a crawl when crossing the bridge, so you’ll get a good view of the valley below. Just be aware that the authorities may prevent you from taking photos on the Gokteik bridge as a security measure, although many tourists get away with it these days. The train rolls into Hsipaw in the afternoon, although delays of a few hours are not uncommon. Hsipaw has a few guesthouses, the most popular one being Mr Charles’ Guesthouse. You’ll also find several restaurants, grocery stores and backpackers milling around the area – a sure sign that change will soon come to this sleepy town. Most backpackers make a beeline for Mr Charles’ Guesthouse to join a tour group for the hike. Tours depart everyday, so you can probably make it if you’re there early before 8am. They also have a place to leave your luggage, so just prepare a small bag with a change of clothes, sunblock, a pair of sunglasses, a camera and at least a large bottle of water. A good pair of hiking shoes will also make the hike a lot more comfortable. The 2-day hike costs around US$25, including 2 lunches, 1 dinner and 1 breakfast for the next day. The guides are mostly young men from the hill tribes, and they take pride in bringing visitors to their village. As such, part of the revenue from the tour goes to the hill tribes, and contributes to their development and recovery from years of unrest. The trail is generally flat, with stretches of steep slopes and a trod through the occasional mud track. It’s strenuous for sure, especially during the initial climb up. In the tropical heat, stay constantly hydrated to prevent heat exhaustion and to keep your spirits up. There’ll be regular breaks every two to three hours, sometimes at scenic lookouts with a small hut and benches. During mealtimes, you’ll be invited to a local villager’s hut for some warm, authentic Palaung cuisine – almost always locally grown vegetables cooked with fresh spices. By late afternoon, the group will reach a hill tribe village to rest overnight. After dinner and a quick shower, the group will gather around and trade war stories of travelling around Southeast Asia. Eventually, everyone will start to drift off to sleep, to recover for another full day back the same way. To feed a group of hungry hikers, the host will whip up a communal meal laden with various vegetables grown nearby. With ingredients like carrots, potatoes, rice and the quiessential tea leaf salad, there’ll be plenty of food for everyone. If you’re a die-hard carnivore wh must have some meat, you’ll have to take some along yourself. In the hill tribes of Myanmar, meat is a luxury few can afford, and the local Buddhist philosophy discourages the taking of another life. Breathlessly clambering up into the last village to spend the night, you’ll be greeted with warm smiles. The guide checks the group into a room for the night, basically a large wooden hut on stilts. There is no ensuite toilet though. To do a number 2, or if you really must, a number 1, you’ll need to head out almost 10 meters to a field toilet. It’s far away enough from the hut, but not too far for you to think, ah never mind I’ll just do it under the hut since no one’s watching. Dinner is served in the same way as lunch, with 4 to 5 dishes to accompany steaming white rice. Comparing each other’s trembling hands and aching feet are the main conversational topic, while everyone digs into the food with gusto. Miles away from the nearest urban settlement, surrounded by a dense jungle just starting to come alive with indistinct chirps, this might be the most satisyfing meal in your life yet. After dinner and a quick shower in a makeshift open-air cubicle, you’ll want to finally collapse onto a comfortable bed. Alas no. But under individual mosquito nets, on a thin mattress and sleeping alongside snoring backpackers, you’ll drift off to sleep nevertheless. The slopes may get slippery after rain, so tread carefully! Waking up to the sound of schoolchildren and the blinding sunlight outside (most assuredly, no one will wake up early), the group takes the same route back to Hsipaw. Even when retracing your footsteps, the path looks different. You’ll discover new viewpoints, even prettier landscapes and distant villages that you didn’t notice yesterday. 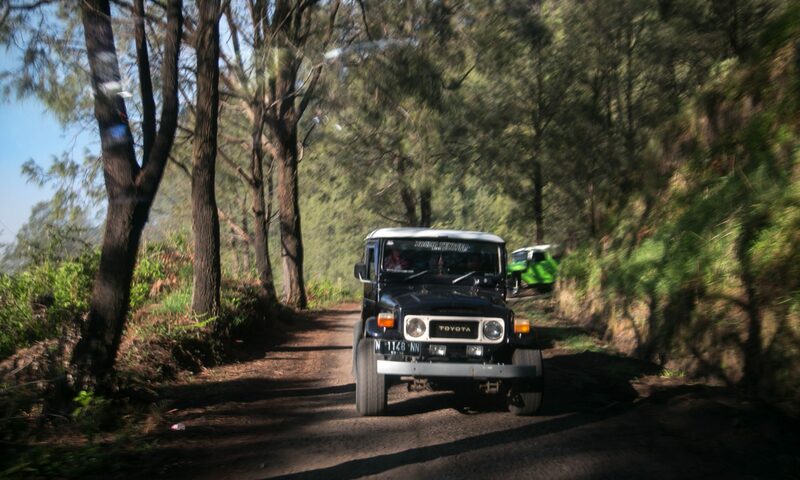 As the hike nears the end, the familiar sounds of vehicles and machinery fill the air. You walk past provision shops selling chocolates, and restaurants serving chicken meat. Signboards and electric cables follow you as you head back to the guesthouse. Hsipaw, a town that you barely knew before. But after 2 days going back to basics in the hills… somehow this feels like home now. Neat note on the meat Gary. Vegetarian wifey would like that, and I vibe with it too as I only eat meat a few times a month. Makes sense that it’d be a luxury though. Awesome post dude. We only saw Yangon, Inle Lake and Bagan earlier this year. Loved each spot. The Burmese are such warm people. Glad you loved this article. Myanmar was so awesome, I couldn’t fit it all in one post. It’s laidback, affordable to travel around, and the sunset over Inle Lake from the vineyard is one of my best travel experiences so far!